The Wilkin family first decided to move into fruit farming in 1865. Fruit farming in Tiptree involved growing the fruit, then taking it by horse and cart to Kelvedon railway station and from there on to London for sale at the markets. When Gladstone, Prime Minister of the day commended fruit preserving to the population at large, Arthur Charles Wilkin leapt on this idea as a way to finally make a success of farming in Tiptree. In 1885, The Britannia Fruit Preserving Company was formed and the very first ‘Tiptree’ preserves were made, all to be sold to a merchant who would ship them to Australia. Within ten years, more than 200 tons of fruit was being produced, half of that used for making jam. Today, Wilkin and Sons not only makes ‘Tiptree’ preserves, it has a flourishing fresh fruit business and four tearooms in Essex. Thursday Cottage, a hand-filled preserves maker is now owned by Wilkin and Sons and based at Tiptree; Passionately Cakes was bought and later merged with Raven Catering to form Tiptree Patisserie, a successful high quality food producer based nearby in Witham. Tiptree Patisserie bought Daizylake cakes and moved that business to Witham. 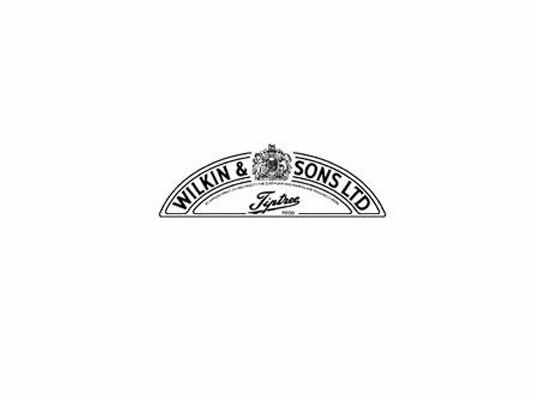 The Burnham Mustard Company and most recently Cole’s Traditional Foods (premium Christmas pudding producers) have also become part of the Wilkin and Sons food family. To avoid employees having to travel to the fruit farms, which are not on public transport links and only accessible by car, Tiptree Jams established an onsite community village where employees could live and work on the farms. In 2012, Tiptree Jams decided to build an onsite community hall where it would host social evenings, serve food and beverages and allow residents to socialise without having to travel long distances to the nearest pub or restaurant. Tiptree Jams also wanted to provide blanket Wi-Fi access across the whole of the community village and the community hall to allow employees and visitors to connect to the internet using tablets, smart phones and laptops. This would also allow access for users to use Apps such Skype, Facetime, Viber, Facebook, email and other such services to help reduce or negate their mobile phone roaming charges by using the onsite Wi-Fi instead of making costly mobile calls. APC Solutions planned and designed a complete Wi-Fi coverage network using Ruckus Wi-Fi wireless technology. In order to provide blanket coverage of the entire village, APC installed five Ruckus 7363 access points at pre-defined strategic locations. Using Ruckus’s “MESH” technology, APC was able to deploy two of the Wi-Fi access points externally, around the outskirts of the village, where there was no backhaul cabled connectivity in to the existing network, but there was power. APC built special housings that fitted to existing lighting poles; this provided security for the equipment and protected the equipment against the elements, without affecting performance or coverage. The Mesh technology allowed these Wi-Fi access points to create a backhaul wireless connection to the main building without the need for expensive cabling works or digging of the site grounds. This would have been time consuming and certainly an inconvenience to users and visitors of the site who live there or visit regularly. The MESH Wi-Fi provides a self-building and self-healing network offering a near perfect connection with almost zero downtime and provides 802.11n speeds of up to 300Mbps. Should Tiptree Jams wish to expand their Wi-Fi network further, they can easily add additional Wi-Fi access points to provide greater coverage to new or additional areas.